GIFs are eating the world. But they're not just fun and games. 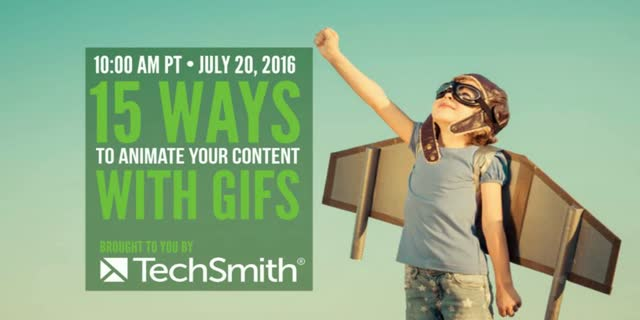 Join Scott Abel, The Content Wrangler, and Daniel Foster, Strategy Lead for TechSmith, for this free, one-hour webinar in this discussion about real-world examples of how animated GIFs are being used in documentation, support, and beyond. Also, get practical tips for when, how, and why to create them. Attendees will learn 1) 5 ways to use GIFs in your content (with real-life examples); 2) tips for when to use GIFs vs. videos vs. images; and 3) best practices and pitfalls for creating effective GIFs. Today's guest presenter, Daniel Foster, is the Strategy Lead for TechSmith and has 14 years of software industry experience, much of it in marketing communications, content creation, and social media. Daniel currently heads up market and product strategy for Snagit, the premium tool for screen capture and screen recording on Windows and Mac which combines traditional screenshots, videos, and image editing to help you share important information with the people who need it most. Daniel has spoken at various events including STC Summit, World Usability Day at Michigan State University, and MarketingProfs University.